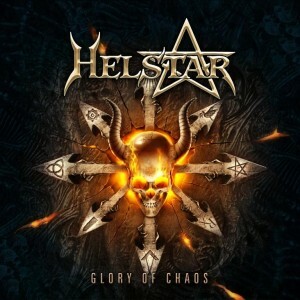 Hall of the Mountain King: Review: Helstar, "Glory of Chaos"
Review: Helstar, "Glory of Chaos"
More than a quarter century after releasing their debut record, the current lineup of Helstar has released the band’s heaviest record to date in Glory of Chaos. Like its predecessor, 2008’s The King of Hell, this record leans more on thrash influences than the band’s earlier power/speed metal tendencies, but it’s a more potent recipe than that record. Glory of Chaos goes for the jugular immediately with album opener “Angels Fall to Hell,” a ripping number that finds vocalist James Rivera exploring some Painkiller-era Rob Halford screams on the chorus. The album never lets up from there. 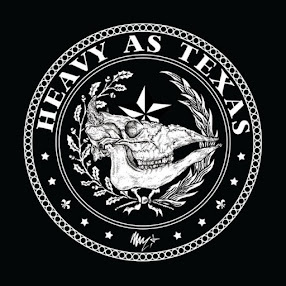 It’s a relentless onslaught of great thrash riffs from guitarists Larry Barragan and Rob Trevino, overlaid with alternately snarling and soaring vocals from Rivera. The pieces range from nice, thrashy gallops like “Bone Crusher” to full-on speed assaults like “Alma Negra,” which bashes the listener with a barrage of speed drumming from Mikey Lewis and shrieks from Rivera. Helstar does offer up a rare slower number here and there. “Summer of Hate” opens with a dark, clean guitar piece laid over sound bytes of Charles Manson. Sure, the Manson bit is cliché, but the song is one of the better tunes on the record, giving Rivera a chance to expand his vocal range a little with some more foreboding and a few growls of rage. There’s also a really nice acoustic interlude in “Trinity of Heresy” where Rivera offers up a more vulnerable vocal style, which of course builds shortly back to full-on thrash and the angry snarl he practices throughout most of the record. One of the more unusual pieces here is also a slower number, “Zero One,” a short interlude which features a folky, almost medieval guitar lick and a quick vocal closure to the record. Helstar also offers a couple of bonus tracks following “Zero One,” which closes the “official” part of the record. The first is a cover of Saxon’s “Heavy Metal Thunder,” and the second is a cover of The Scorpions’ “Animal Magnetism.” The first is a fairly faithful old-school rock ‘n’ roll party tune that’s the most fun song on the album. It might have been a better closer than the heavier, dark and plodding Scorpions cover. I like the version, but it’s kind of a draggy song to end an otherwise very energetic record. Basically having been the driving force behind Helstar during all of its incarnations, it’s no surprise that one of the primary strengths of this record is Rivera. His vocals here are in fine form and fall in line with some of the best voices the genre has had to offer over the years, from Halford to Warrel Dane to Geoff Tate. But just as big a factor in the success of Glory of Chaos is the guitar work of Barragan and Trevino. It’s not the flashy leads, though there are some good ones that will turn your head, but rather the fast and precise riffing, reminiscent at times of both the best work of James Hetfield and Slayer’s Kerry King/Jeff Hanneman combo. As I said at the start, it’s a potent blend, and after nearly 30 years, Helstar is thrashing stronger than most of the young bands in the genre. From start to finish, Glory of Chaos just plain rocks, and it’s definitely a contender for the old end of the year list. Review: Amon Amarth, "Surtur Rising"
Review: Tuck from Hell, "Thrashing"